Budget-minded clients may find that they need more design direction than our Interior Design Consultation provides. In these instances, we are happy to provide a Written Action Plan. 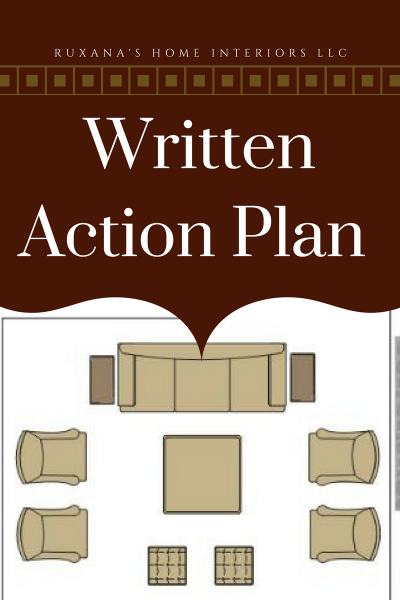 Our Written Action Plan provides recommended dimensions but does not provide fabric selections, finish selections or furniture/asccessory selections. This plan provides space planning and dimensions only.